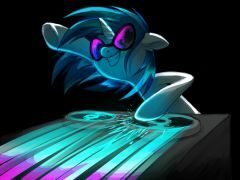 Showing results for tags 'Vinyl Scratch'. 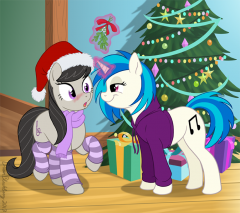 ((To join: )) Months after her last tour, and her old manager abandoning her, the famous singer, Countess Coloratura, or Rara as she now calls herself, has managed to keep her singing career up thanks to the help of the staff members of her previous tour that kept loyal to her. With their help, she managed to finish her last tour and even make a new one! What was it's name? She hadn't decided yet, but she knew where was going to be the first place. Ponyville! The singer was eager not only to see the ponies that lived there, since they were the ones that saw first her new style of singing, but also her old friend Applejack, and rellay wanted to see her, and hoped she was able to see her, but her new tour was her priority right now. After several weeks of planning, she and the members of her tour finally made the final preparations to depart to their first destination, going from the big city of Manehatten to the small town of Poyville. Several members of her staff, and she as well were really eager to go! Others were more exited for the fact that she decided to make a new tour. She decided to make this a surprise for the ponies in Ponyville, so her arrival would be a big surprise, but there were still several details they had to arrange before the actual tour really started. 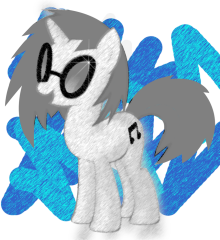 First, they were missing somepony that would help with the music, as she focused mostly on singing, and most of her old songs were made with the help of magic spells made by other ponies and other machines that she was not used to control. 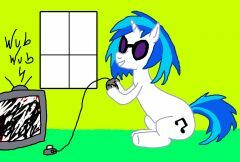 Second, several other ponies that might want to join her in her your. 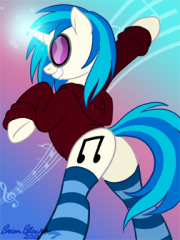 The members of her staff would always need some extra help, so more ponies joining would help, and if an artist joins, they can make a far more amazing concert! Finally, where to go next. Her old manager used to handle all those things, but without him and lacking somepony to help organize, it was hard where to go, but she would handle that in due time, as there were more important matters right now. The singer left her home in Manehatten to go and get her crew ready for the tour, and after some time, they left the city by train. 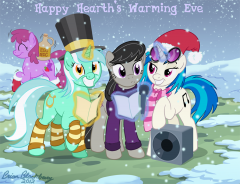 "Ahhh... we finally arrived~" She said with a smile as she got off the train station along with some other ponies that were carrying some boxes filled with decorations, costumes and other things they would need for the show. 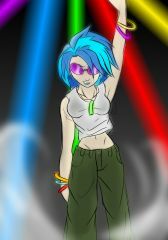 The first thing she would need was a pony in charge of the music. 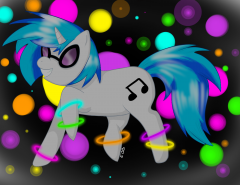 She had heard about a rather well know Dj in ponyville that might help her with this, so this was her first priority. Find that DJ and ask if she wanted to join her! 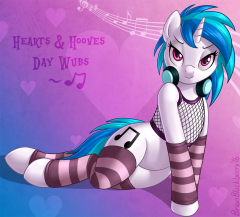 Also, she would need several other artist to perform with her, as only her might become rather repetitive and hard for her to handle all alone, as well as a chance for them to have their names know around Equestria as well. 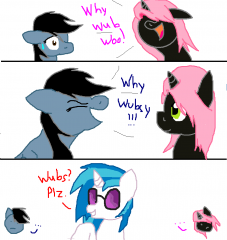 This never actually happens and Shade already has a GF, Vinyl is just my fav pony and I thought I could show that using my OC. I love how this turned out. I'm surprised I was able to make something this good on You Doodle+ (an app on my ipod that i use to finish my art.) I would like some critique in the comments if you want plz. My best friend and I yell those sayings everyday, every time we meet, and possibly every 5-10 minutes. Then DJ comes along. Constructive Criticism is closed.